It doesn’t matter that a book was published years ago as long as it’s well written and relevant. 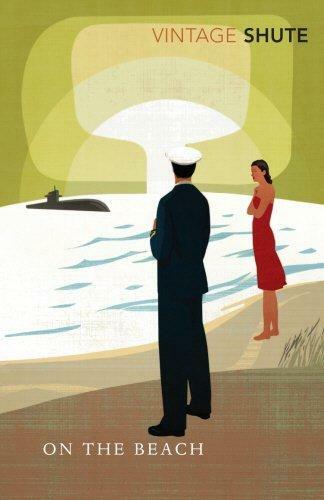 I got into reading Nevil Shute through my dad and the amazing Round the Bend. It intrigued me to read an author who isn’t well revered among his colleagues. Maybe his style isn’t to everyone’s taste or maybe the stories are dated, set as they are in the 40’s and 50’s. However Shute, to my eyes, was at times a perceptive writer treating such things as religion, the break up of an empire and in this case nuclear war. Whilst I don’t agree with his politics I do enjoy his style of writing and the way he treats subjects. ‘On the Beach’ is set in Australia in the late 50’s. There has been nuclear exchanges between Russia and the US. Radiation poisoning is slowly spreading around the world killing every living thing in its path. The northern hemisphere is already contaminated and unlivable when the story starts. As with all Shute’s books it deals with ordinary people which is part of the charm. In this book we have a young naval officer, his wife and young baby dealing with normal day life while the threat that time is running out is painfully evident. Throw into it a few other characters including the captain of a US nuclear submarine and a young woman. Gradually the story unfolds, the threat of death hangs over the nation and people treat it differently than others. That’s part of the beauty of the book, the way people react differently to the upcoming crisis. Some treat it as if the world is going on forever whilst others see only doom and gloom. As the huge country starts to experience the end, the mood of the people and the book changes. An amazing story which I read the other day. It makes you think about life differently, makes you try to make the most of time left available to you. At this moment in time the message rings loud and bright out there. Make the most of the time you have.